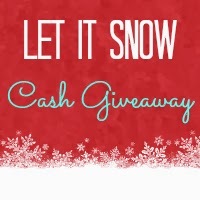 Welcome to the $750 Let It Snow Cash Giveaway! We've joined a great group of bloggers to bring you this awesome giveaway. One lucky person will win $500 cash and five others will win $50 cash! Enter to win $500 or $50 cash via PayPal. Ends at 11:59pm EST on December 22nd, 2013. Would you like to have your products featured in a similar review and/or giveaway? Want to increase your social media exposure before the holiday season? See how we can help! Contact goodnightmommyboutique@gmail.com to see what Secret Southern Couture can do for your company!